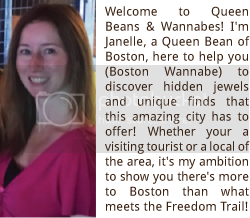 Queen Beans and Wannabes: Mobile Monday & Web Innovators Group’s December Event! 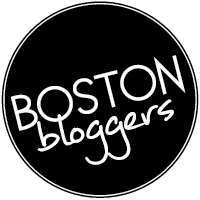 Mobile Monday & Web Innovators Group’s December Event! Mobile Monday teamed up with Web Innovators Group (Webinno) for the last mobile event of 2013 at the Royal Sonesta Hotel in Cambridge… (this event was also known as WebInnoMobile2). The topic of the night’s event was Mobile Entrepreneurships, where early stage companies demoed their products & apps. There were 2 areas that companies demoed their products- The “Main Dish Demos” presented in the ballroom and the “Side Dish Demos” that presented in a separate networking room. Each company was unique and showed great ideas and talent, a list of all the demos are listed below. Cannonball – Their tag lines is “Fall in love with email again” and that just might happen if you try their email organizing app. The concept is simple; the app automatically organizes your email separating important messages from coupons and spam mail. The app is great for a small business as you can easily navigate important messages from a prospective client and a coupon for $5 off your $100 order. Ovia Pregnancy –Whether you’re a first time mom or have multiple children, this is a great product for anyone expecting. Created by Ovuline, Ovia is a pregnancy mobile and web app that can help track your pregnancy from conception to birth. The app can give you analysis and feedback of your pregnancy, as well as, show your baby’s real-time development. Sharalike – An easy to use app that allows you to capture all of life great moments and effortlessly create slideshows and movies, share with one person or everyone you know and organize and store everything in one place. Codename Cygnus – An interactive game app where you are the main character by using speech recognition to cast you as a secret agent hero. Use your voice to operate the game to accomplish missions and objectives and listen as the drama unfolds as other characters react to your every decision. Cubbyhole – Have a lot of extra space in your home? Need a place to store your stuff for a day? This app connects people with self-storage needs with people nearby who have the extra space, (and don’t mind making a few extra dollars on the side). EdTrips – Web platform that allows education organizers and teacher create and manage school/education field trips from the museum in your city to a museum in another country. Favecast – Social app that allows users to create short videos (think Vine or Instagram) about cool places discovered and share with friends and others. Marlin Mobile – Company creator of “Speedier”, a free app that allows you to measure website speeds on mobile devices, as well as, divulges in detailed information on page load speed, HTTP requests, page weight and a chart showing load time for each page element.